What do you want to do when you grow up? How about changing the world? Start right now and get yourself all fired up by reading this sparky book of inspiration. Say hello to thirteen amazing women who shaped the planet we live on, from incredible explorer Amelia Earhart to super scientist Marie Curie. (You’ll also meet Coco Chanel, Mary Seacole, Anne Frank and lots of other famous folk.) 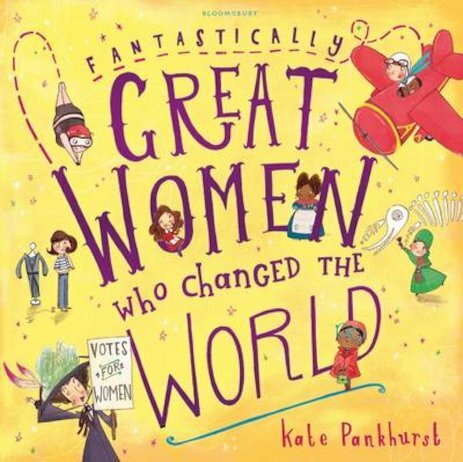 All in one wildly funny and utterly wonderful picture book by prize-winning illustrator Kate Pankhurst, who’s got one message for you: women rock!